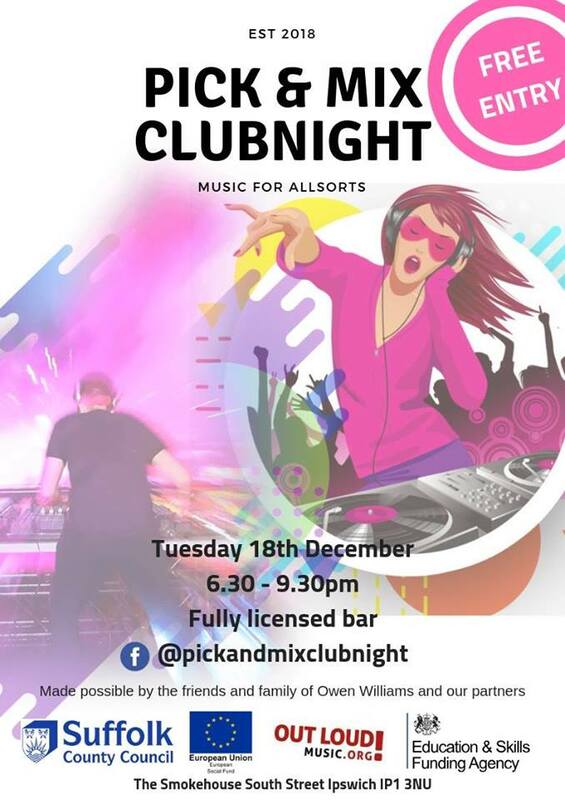 A DJ clubnight for allsorts - No Labels, Just Music. We offer a safe and welcoming environment for young people (14+) and adults with SEN and/or mental health issues to enjoy a night of great music and dancing!! Our DJs have completed ‘iDeeJay’ a 6 week course for adults (19+) with additional needs and/or mental health issues and we’ll be signing up more potential DJ’s for our January course! Get involved.